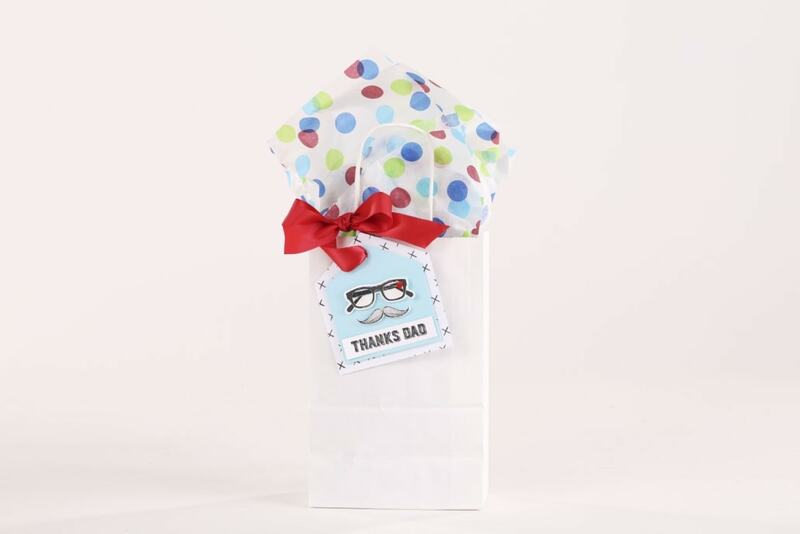 Have you EVER seen a cuter tag on a gift bag for dad?! This project is totally customizable in that you can even choose the type of ‘stache you add! Something is missing… Glasses!! Yes – masterpiece complete!! Click HERE for a list of items used to create this tag so you can easily find the supplies you need on the Fun Stampers Journey website! On the hunt for more terrific tags?